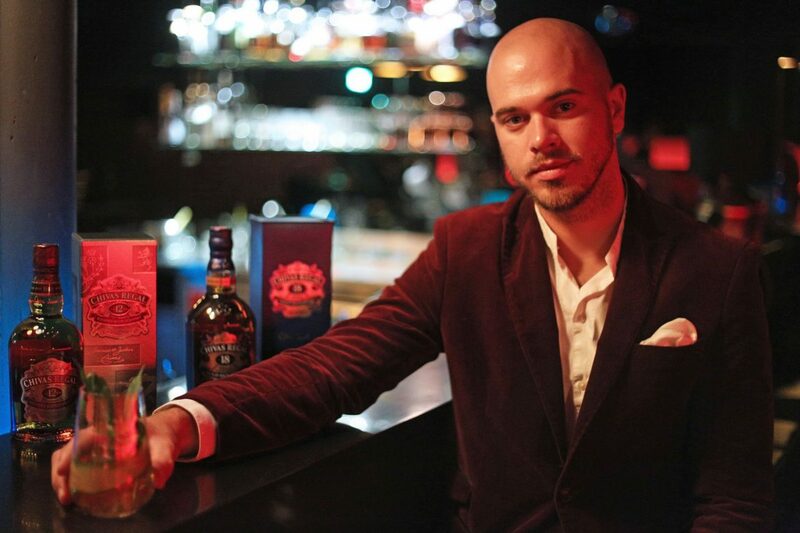 At the 2nd Chivas Bartenders Chapter in Austria, we had the chance to interview Alexander Knoll bartender of the Katze Katze in Graz and Chivas Regal Whisky Brand Ambassador. TVB: You are bartender in the Katze Katze in Graz, Styria – what should we know about the Katze Katze Bar, what is the characteristic of the place? TVB: Chivas Regal selected 5 bartenders from Vienna, Graz and Salzburg to become Chivas Regal Brand Ambassadors this year – you are one of them, what does this mean to you? It means a lot to me, Chivas is my first choice. I am proud to work so professional together with this Company. TVB: At the beginning of the project, you made a joint trip to Scotland to the origins of Chivas Regal Whisky what impressions and experiences did you gain there? It was insane to see all the people working around Chivas, to see the heart for the details, the history behind Chivas and many many more reasons why Chivas Regal is so successful. TVB: What is so special about the Chivas Regal for you? Why is it your favorite Whisky? For sure the taste but when you ever visit this beautiful place in Scotland you will understand why it is the best blend. TVB: What is the ideal glass for Chivas Regal and what is the reason for it? TVB: You have created 2 signature cocktails one with Chivas Regal 12yo and one with Chivas Regal 18yo. What was your idea behind these 2 cocktails? My idea was that I want to catch all people around the world with this two different blended Scotch Drinks. 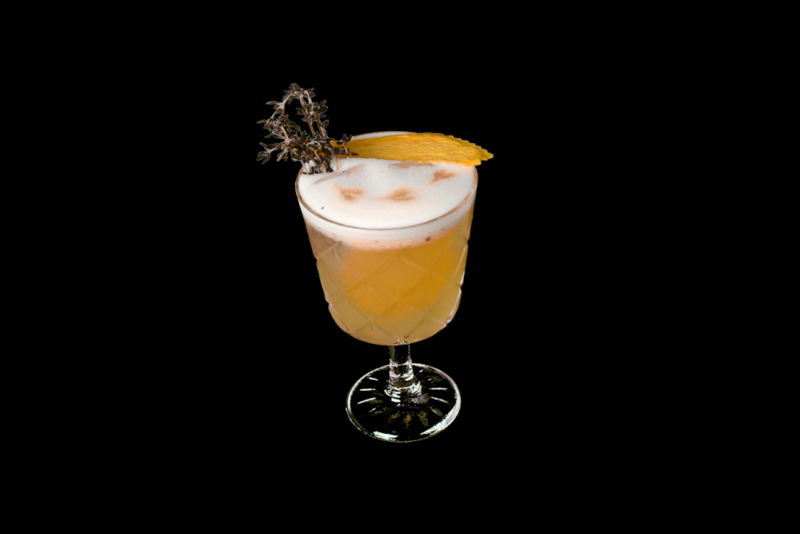 TVB: What are the names of your cocktails and what inspired you to your creation? My Girlfriend is not that fan you should be from Whiskey. So I decided to make this 12 Years tropical blended Scotch Drink. She loves it! The second inspiration is coming from my Scotland Trip. I saw all this rabbits around our House. So I decided to take a piece of green and put it in my glass and fill up with Chivas. You drink it like the rabbits eating from the Scottish green. TVB: Please prepare your Chivas Regal signature cocktails for us and explain the preparation …… What are the components of the cocktail? For the 12 Years one you take a fresh mango crush it and put the Chivas 12 in it. Then the fresh Egg white with the lime juice and sugar. For the 18 Years old you put loveage in the glass then Cucumber. Then inhale slowly and put the Chivas 18 Years on top and a piece of Fleur the Sel. Exhale slowly. TVB: Every year, new Chivas Brand Ambassadors will join the Chivas Bartenders’ Chapter. Is there any recommendation you would like to give to the following bartenders? TVB: Finally – what is your personal favorite Chivas Regal Whisky and what do you like about it? The new Chivas XV. It contains flavor and tradition. I am in love with this . Like the way I loves grapes as well. How to taste Whisky like a PRO? and protein coexist in peaceful harmony. Tip: Open the ice cream with a bar spoon at one side, separate the egg white so from the egg yolk!